A reboot of Rainbow Brite has been released November 6, 2014 by Feeln, Starring Emily Osment and Molly Ringwald. Video on Demand service, Feeln, has made the announcement that they are rebooting the Rainbow Brite series. This really isn't much of a surprise when one considers how popular many current reboot franchises from the 80's have been doing, such as My Little Pony. 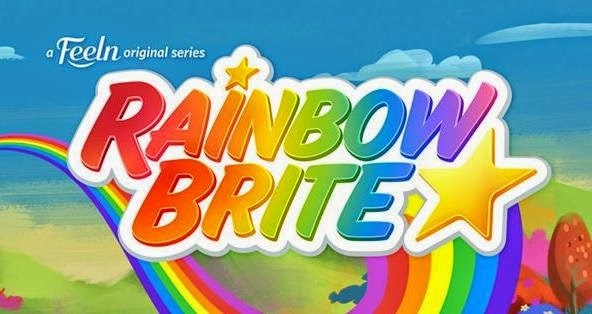 Both actresses that will be taking on the main roles of Rainbow Brite and The Dark Princess chimed in with comments regarding the roles. "I look forward to connecting with the audience, old and new, and going on this exciting adventure together," Emily Osment said. Molly Ringwald said "I will enjoy voicing the main antagonist, The Dark Princess". Below is the trailer to the new series. It seems the title had a mistake in the release date, and has subsequently updated to show that the series premiered on November 6th, 2014. That would put it six days prior to this article being posted. Sorry for any confusion.